Following a complete sellout event in 2008, the West Middlesex Branch of the Campaign for Real Ale (CAMRA) is pleased to announced the Ealing Beer Festival is back in Walpole Park. 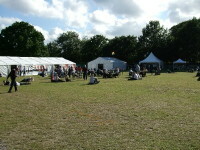 This year it takes place between the 8th and 11th July. 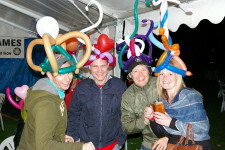 There'll be lots more beer and more weather protection on site in three large marquees. We will have over 170 real ales from all over the UK backed up with ciders/perries, bottled and draught beers from throughout the world, in London's biggest outdoor beer festival run entirely be volunteers. Food will once again be provided by Northfields cafe and deli owner Bronek, with Bigosh and Hog Roast being firm favourites, and this year we will be joined by the Crusty Pie Company. Accompanied children are allowed on site until 8pm and will be given free soft drinks. 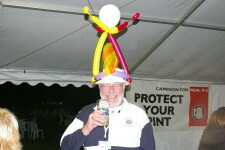 Admission prices have been kept to 2008 levels at £3 or £2 for concessions (Freedom Pass/Students/CAMRA members). The Festival opens daily at 12 noon and closes at 10.30pm (6pm Saturday).